Watt previously won the award in 2012, ’14 and ’15. HOUSTON — Texans defensive end J.J. Watt is the NFL 101 AFC Defensive Player of the Year, the team announced Thursday. Watt, who had been injured for much of the past two seasons, led the AFC in 2018 with 16 sacks and led the NFL with seven forced fumbles. He is the first defensive player in league history to win the NFL 101 award four times. Watt previously won the award in 2012, ’14 and ’15. The Committee of 101 is made of 101 national media members who cover the league. 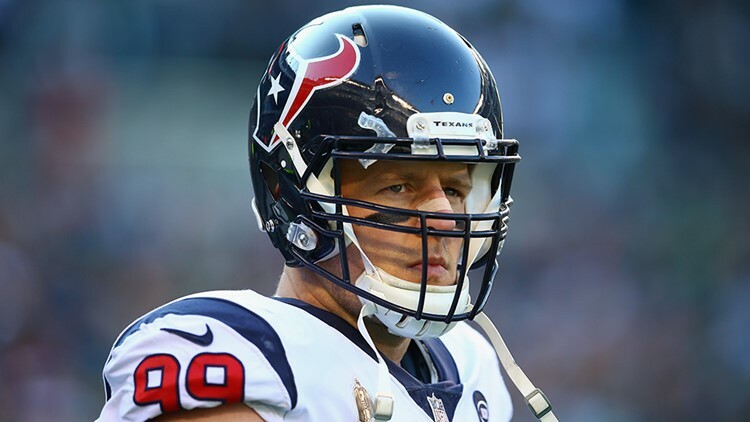 Watt has also won the more popular NFL Defensive Player of the Year award, determined by the Associated Press, three times in his eight-year career.